Abraham believed God, and faith was accounted to Abraham for righteousness. Abraham means, Father of a multitude of nations. Abram..tired, old, weary, old Abram, dared to believe God. He dared to believe – while there was no sign of a child. He dared to believe – his tired, old, barren, old Sarah would mother his son. He dared to call himself – Father of a multitude of nations. And Abraham believed God. This is faith.. faith to believe God’s Word. This is faith.. to assert and believe what God has promised. Faith is to step out on the seeming void and rest on the foundational rock beneath. 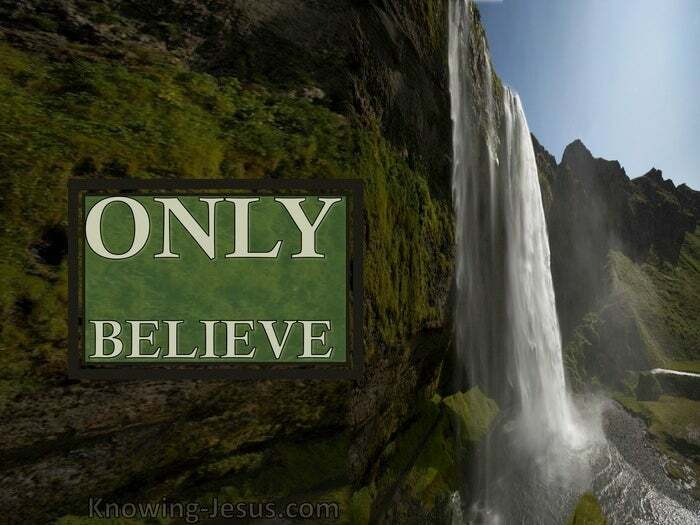 Only believe: and you have what God has promised in His Scriptures. Only believe: and He will make good the guarantee in His word. Only believe: and it becomes God’s Yes and God’s Amen. 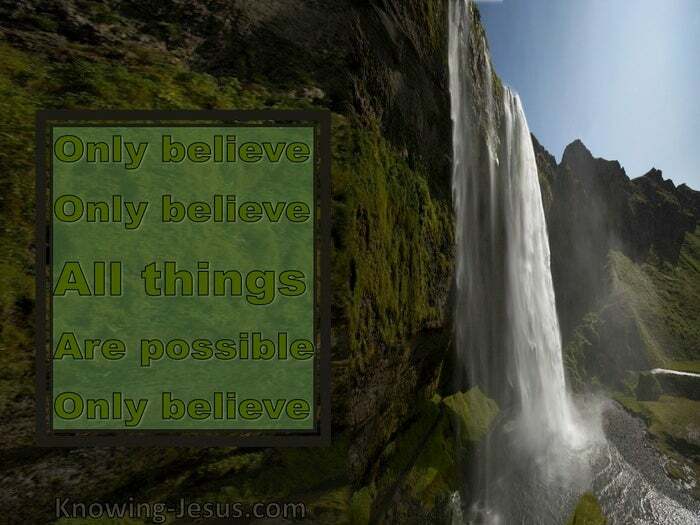 Only believe, that human impossibilities are all God’s promised possibilities. Be willing to live by believing and reckon His word as truth. Be willing to see every light along your pathway extinguished. Be willing to allow every guiding star to be eclipsed. Be willing for sun and moon to be shrouded in black, dark clouds of dark unknowing.. but keep the inner radiance alighted with the steady lamp of faith. Descend from your perch of distrust; mistrust; lack of trust, dubiety; ambivalence. Stir up your protective nest of seeming securities and superficial safeties. Tumble from the the eagles aerie and stretch your wings of faith.. in His word, and He will bear thee up on eagles wings. Step out in faith in the word of God on the stormy seas of circumstances, and He will uphold you with His righteous right hand. Like the arm of the Lord and the wing of the eagle, the promises of God are not unsubstantial. Hath God said and shall He not fulfill? Hath God promised and shall He not perform? Shall I bring to the time of birth, and not cause delivery? says the Lord Isaiah.66:9. Never hearken to the enemy’s accusational, ‘Hath God said’. Never listen to the accusers whisperous lies and deceptive falsehoods. God has spoken; His word is truth; His promises are sure; His pledge is guaranteed; His oath is binding; His covenant is everlasting. I will praise Your name for Your loving-kindness and Your truth, for You have magnified Your word above Your name.